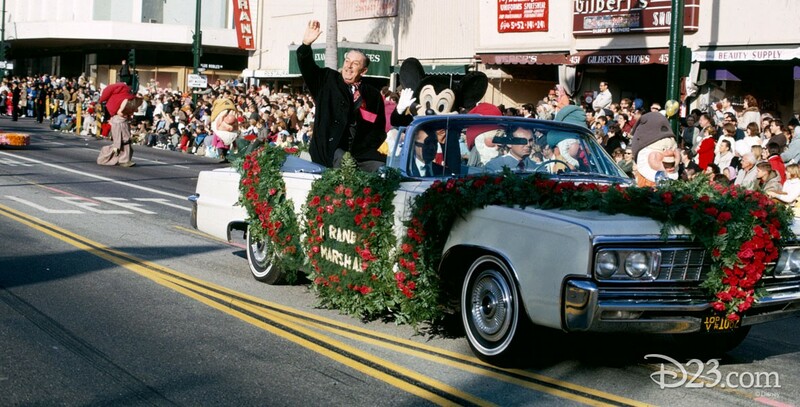 Tournament of Roses Parade Walt Disney served as grand marshal for the Pasadena, California, parade on January 1, 1966. Disney had a Snow White float in the 1938 parade, and broke a height record (100 ft.) with a Tower of Terror float in the 2004 parade. Roy E. Disney was grand marshal in 2000. Mickey Mouse was grand marshal in 2005, and Disneyland had a float that year for its 50th anniversary. There was a Disneyland float for Cars Land in 2013.